Join Wazoku on 26th October as we discuss EveryDay innovation from our newest office location in Copenhagen! REGISTER TODAY! 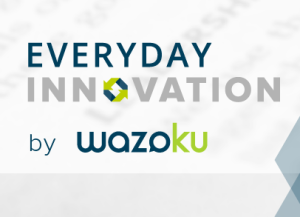 Wazoku will be hosting its fifth EveryDay innovation event on 22nd Novemeber, 2017. 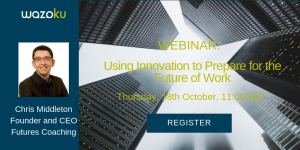 Learn practical advice from innovation practitioners to spearhead supercharge your organisation's innovation capability. All contacts of Wazoku will be emailed their invitation to the event as soon as registration opens. If you wish to be contacted for a place at the event before registration is available, give us an email at marketing@wazoku.com and we'll save your information. Operation of HSBC’s Ideas Scheme in the UK & Beyond! 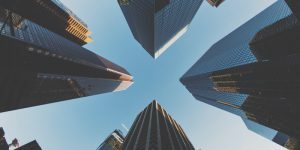 Differentiated vs Incremental: Who are you innovating with? What kind of innovation are you driving? Are you focusing on your customers? Join ideasUK and Wazoku to: Get familiar with the innovation spectrum and the different types of innovation Find out which part of the spectrum your organisation falls into Define differentiated or customer-centric innovation Learn about the advantages of incremental innovation Find out how moving up the innovation spectrum affects the organisational culture Register Today! 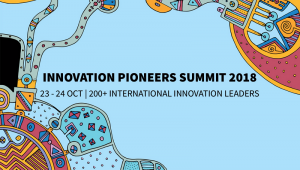 Join our partners, Innovation Pioneers and Googol at the Innovation Pioneers Summit 2018, "Building Intelligent Futures" Innovation leaders & learners meet to learn, share and build on each other’s knowledge about the technology and trends that are shaping the world of tomorrow. Meet us in Copenhagen 6-8th November at the Innovation Roundtable® Summit 2018. 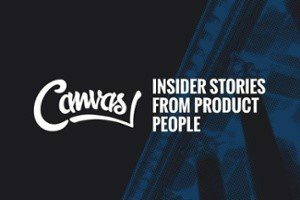 Join the Talk Track, hosted by our CEO, Simon Hill, "Everyday Innovation: Beyond Just Talk" and hear how Wazoku clients go beyond talk to truly embed innovation as part of their core, strategic, every day capability. We're also hosting a roundtable discussion on, How To Make Innovation Part of Your Core, Strategic, Every Day Capability.